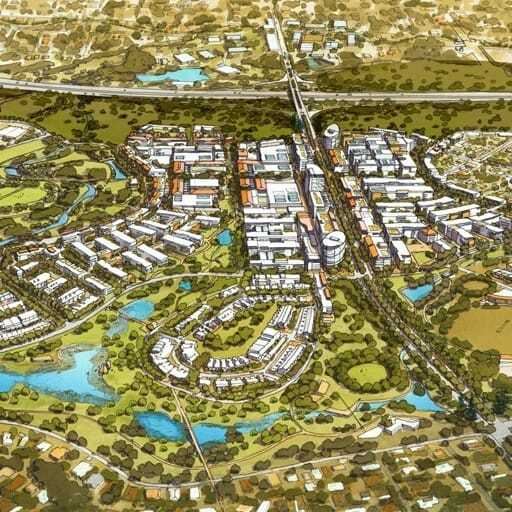 Development of a master plan and Activity Centre Plan to guide future land use and development within the Joondalup Activity Centre. Integration of key activity nodes with interconnected pedestrian network and ‘character squares’. High-intensity city centre precinct with no height limit. 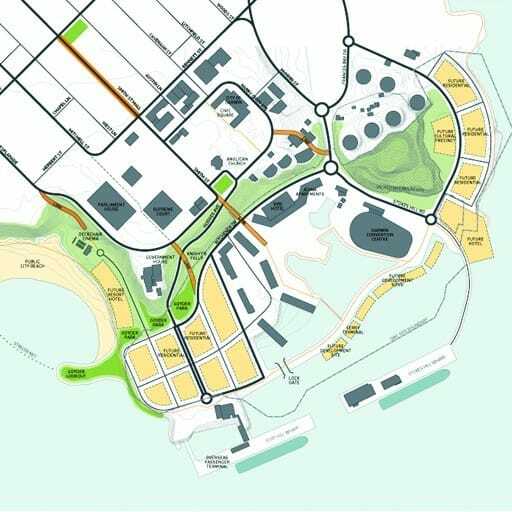 Local Area Transit route to connect activity centre with Ocean Reef Marina. 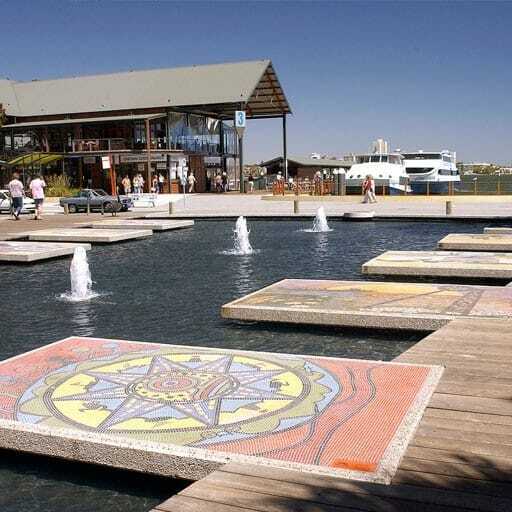 Joondalup is the primary activity centre in the north metropolitan region of Perth. The centre is of a similar size to the Perth CBD (488 hectares) and classified as a strategic metropolitan centre. It is the most diverse activity centre outside of the CBD containing: two train stations, a bus station, Edith Cowan University, Joondalup Health Campus, Lakeside Joondalup Shopping Centre and HBF Arena. Hames Sharley was responsible for the original planning and urban design of the Joondalup city centre in 1988. 30 years later, as the activity centre has developed and matured we were commissioned to prepare a new Master Plan. 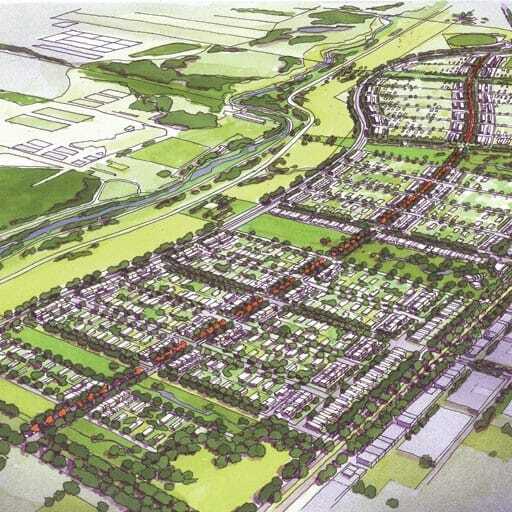 The Master Plan was based on a vision and urban design principles which were established by testing future development scenarios with key stakeholders. It enabled us to develop a design that responded to the existing and future place qualities of Joondalup as the primary activity centre in the north-west corridor. The size of the city centre and segregation of major land uses proved to be a major challenge, in response to this the Master Plan design focussed on transforming the existing movement network into a robust city grid, enhancing east-west movement for all transport modes. By focussing development around key activity nodes and linking them together through a series of interconnected public spaces or ‘character squares’ we were able to integrate Joondalup’s key activity nodes with all modes of transport. 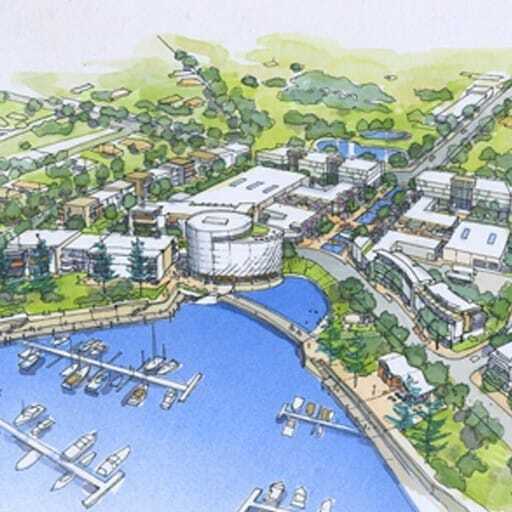 Working collaboratively with the City of Joondalup, RPS (economic) and Arup (transport) we developed an Activity Centre Plan to guide future planning and development in the centre. Hames Sharley was responsible for undertaking extensive research, site and context analysis, developing built form controls, engaging with key stakeholders and preparing the final report and documentation. 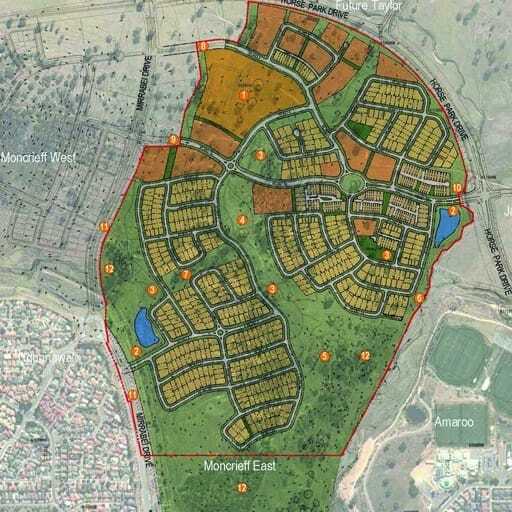 The Joondalup Activity Centre Plan which was gazetted by the Western Australian Planning Commission in October 2018.